This super recipe for mock cheese soufflé looks and tastes just like a soufflé, but it's so easy to make. You use bread and whole eggs, and let the mixture sit in the refrigerator overnight so the bread soaks up the liquid. When it bakes, the soufflé puffs up and becomes light and fluffy. You should use plain white sandwich bread for this recipe; whole wheat or whole grain bread would be too dense and heavy. Sharp cheese is necessary, too. All of the other ingredients will mute the cheese flavor, so a strong cheese makes the dish delicious. You could use another type of cheese; Gouda or Pepper Jack or a combination of cheeses would be delicious too. This is a great recipe for entertaining because it serves a crowd and because it must be made ahead of time. When you're ready to eat, just pull it out of the fridge and bake to puffy and golden perfection. It won't fall as fast as a regular soufflé would, so it's easier to serve and will wait a few minutes for guests to sit at the table. Serve this dish with some fresh fruit, crisp bacon or browned sausages, orange juice, coffee, and milk. You don't need another thing for the perfect brunch or breakfast. Spray a 2 1/2 quart soufflé dish with a nonstick baking spray containing flour. 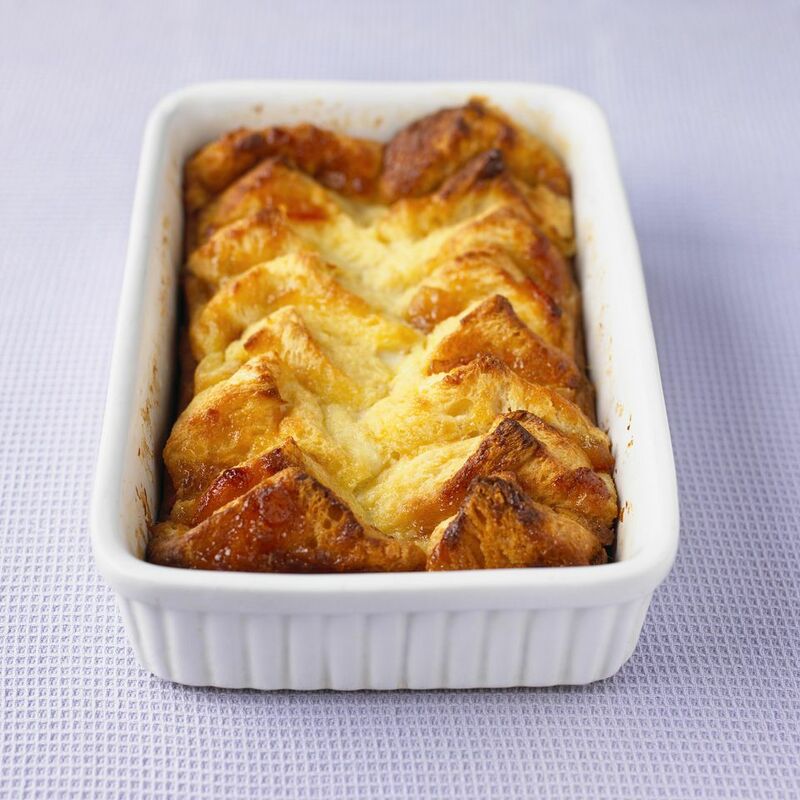 Place half of the bread cubes into the dish and top with half of the Cheddar cheese and 2 tbsp. Parmesan. Repeat layers, using the rest of the Cheddar cheese and 2 more tbsp. of the Parmesan cheese, and press down gently so all of the food fits within the dish. In a medium bowl, combine remaining ingredients except for the remaining 2 tbsp. of the Parmesan cheese, and beat well with wire whisk or eggbeater until well blended and foamy. Pour this mixture over bread and cheese in the soufflé dish. Cover tightly with foil or plastic wrap and refrigerate at least 2 hours or overnight. When ready to eat, preheat the oven to 350 F.
Uncover the dish and sprinkle with the remaining 2 tbsp. Parmesan cheese. Bake at 350 F for 45 to 50 minutes or the soufflé is puffed and golden brown and a knife inserted near the center comes out clean. Serve immediately.